Beautiful display of landscaping with evergreens. This is a berm built for privacy. It serves its purpose well. This is beautiful all season. Outside steps down a hill – I would love to do this to our fire pit. So much easier than trying to walk down the hill w/out falling! Great Groundcovers! 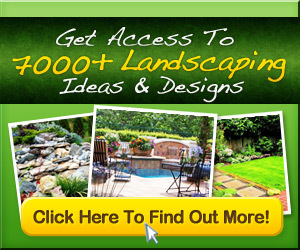 • Tips and ground cover picks!, the perfect ground covers for hillsides and slopes.